This month, we're launching Alliance invite links, logging calls and meetings, and list templates. 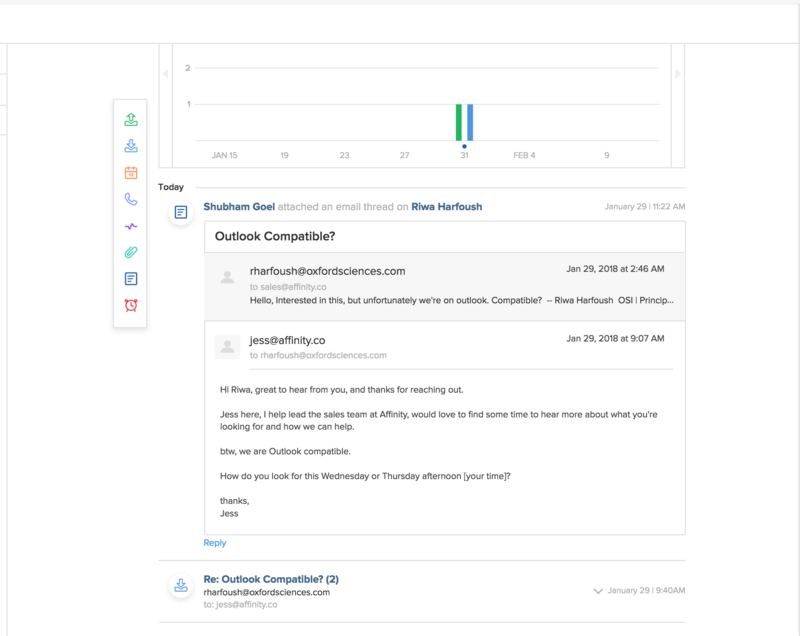 We're also launching improvements to search and email-based notes. We've made it much easier for you to invite allies onto Affinity. If you want to share your real-time relationship strengths (and vice-versa) with anyone outside your team, you can now simply send them a link. Once they click on the link and accept your invite, you will have access to who they know and how well they know them, allowing you to truly leverage your network. Here's a short tutorial on how to find the invite link. You can now log calls and meetings manually on any person or company! Just go over to the appropriate company or person page, and you should be able to add different types of activities. This way, you can truly keep track of all the interactions that have happened with a relationship - even if it isn't automatically captured by Affinity. We repeatedly hear from our customers on what are the best ways of structuring their lists and workflows, and rightly so - it can be pretty overwhelming! Today, we're launching list templates. Depending on which industry your team is operating in - you should see some list templates we've identified to be common trends across that industry. Our hope is that you can get set up on Affinity even faster using these templates. Here are what some of the templates look like. Another highly requested feature: you should be able to search much more seamlessly now. Looking for a people with a specific website name in the email address? No problem. Looking for Greg who works at Company X? Search away. Starting today, email-based notes on Affinity will only grow dynamically until the email that is attached manually as a note. Any future conversations on the thread will not be captured - leading to better privacy and sharing controls. That is all for now - thank you for reading this update! In case you have any ideas around features that would add value to you, or if you have any questions at all, please feel free to email me us at sales@affinity.co or support@affinity.co.